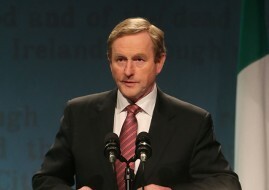 Enda Kenny has insisted his coalition government will remain in power until 2016. Ruling out a general election next year, the Taoiseach said he has no intention of creating any instability by going to the polls early. Mr Kenny was speaking during a motion of confidence in him in the Dáil. The debate was called as a counter-measure to a Sinn Féin motion of no confidence in the Taoiseach. The coalition won the debate, backing Mr Kenny, by 86 to 55 votes. The Fine Gael leader said his strategy in government is paying off, and has steered the country away from forced bailouts and a loss of national sovereignty. “And my preference for government, after the next election in 2016, is for the continuation of the coalition that has restored our economic sovereignty, that is the Fine Gael and Labour parties,” he said. 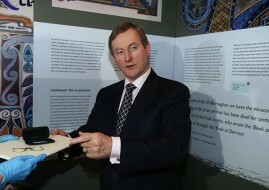 Tánaiste and Labour leader Joan Burton declared her absolute confidence in both Mr Kenny and the coalition. “We are creating thousands of new jobs every month,” she said. But Fianna Fáil leader Micheal Martin said people are increasingly losing confidence in the government. “This is an arrogant, out of touch and increasingly out of control government which has been deeply unfair and divisive,” he said. Sinn Féin leader Gerry Adams said the Taoiseach should resign and let the country elect a new government.